Where does this water come from?? There are some weird bits around this part of town that will randomly have water running down a street and you can’t really tell where the water is coming from. One of these spots is the top of Laurel Canyon right before you crest the hill by Mulholland – it always has water running down the east side of the street. 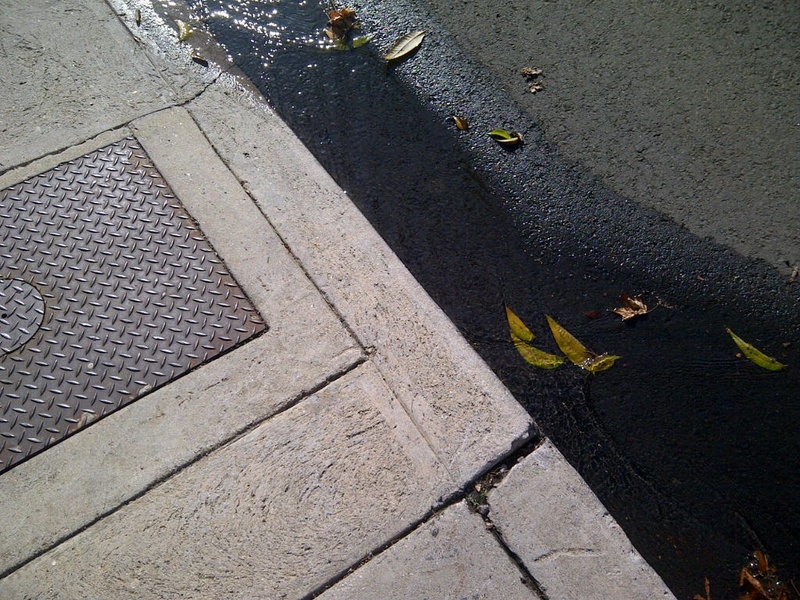 On my street today I saw this little tributary which I’ve dubbed Edinburgh Creek. I was walking down the street to do a bit of shopping on Melrose and thought maybe it was just some run off from the rain we had the last couple of days. I looked around the rest of the street and no water across the way and as soon as I crossed Waring it was all dry and there really wasn’t that much rain or any sign of this when I went to go watch the Manchester City game this morning at 4 AM (yes that’s ungodly early but you do what you have to do). On my way back I circled the block looking for the source of water and couldn’t find one! Random! Another We-Ho mystery much like where was that water coming from that was just bubbling up in the middle of a little crack on Crescent Heights by Norton that one night. I kept watching the news the next morning waiting to hear about a big sinkhole opening up or a water main break but nothing. I’ll keep you posted if this little creek develops into a full on river.